Are you addicted to your smartphone? I am. My friends are. I wish it weren’t the case. I fill almost every “in between” moment scrolling on my phone, and it makes me crazy. I do my loop (Instagram, Email, Facebook Business Page, LinkedIn…repeat) when I get into the car, when the car stops at the destination, while standing in line at the grocery store, as soon as I walk into my house. Too much time checking my smartphone makes me feel “gross”; a mix of guilt as well as stale from time spent immobile. For me, it takes a conscious effort to break from the screen, look up from the phone, and give my brain the space necessary to have an original thought, to drift idly, to consider others. One magical space that is the exception from the endless cell phone loop? Summer camp weekends at Camp TimeOut. 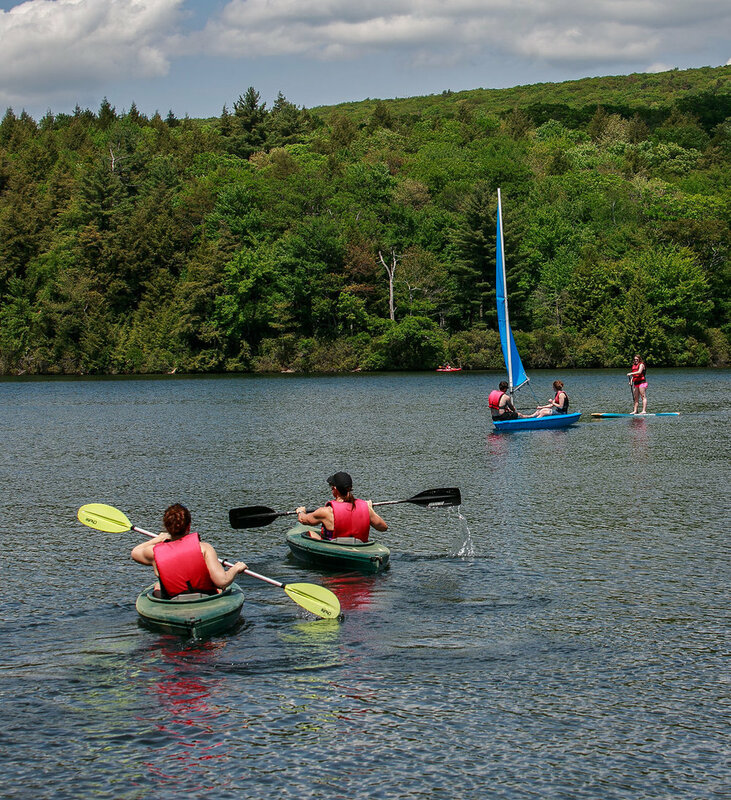 At many of our camp properties (like our western Massachusetts camp pictured below), the location is so remote that phones don't get service, and campers are forced to UNPLUG. For camps where cell service is possible, we are working diligently to setup systems to encourage campers to break from their phones. For the first 2-3 hours after arrival, campers tend to “freak out” from smartphone withdrawal. However, just wait for a few hours. By the time the campfire is lit on Friday night, campers begin reporting an incredible lightness, freedom, and relaxation - they are free from checking their devices. Camp TimeOut is more than a weekend of fitness and fun; it’s an opportunity to connect to others, to consider your goals, and to get a break from technology. For me, the reset has a positive, lasting effect and helps me to notice negative, compulsive behavior. So, stop scrolling! Register for a camp, then put your phone away and join us for a weekend in the woods.